I have learned that when speaking in front of people, I need to remember one word: EXHALE. I tend to inhale, inhale, inhale, until I’m speaking fast and about to hyperventilate! I will forever think of setting up the Rock Springs Bridal Show when I eat Domino’s Pizza. Combine a whole stack of pizzas, beer, a stage and balloon arch to assemble… The boys had too much fun making things out of balloons and we enjoyed ourselves far too much. Can’t wait for the next time! It also ALWAYS snows either before or after the show. Always! Speaking of Rock Springs, I am hopeless when it come to navigating Rock Springs and Green River. I get lost in Downtown Rock Springs EVERY time I am there! Yesterday was no exception — I got lost in Rock Springs AND Green River AGAIN! Someone, I need a map! I have learned that there are many scenic places I drive through that cause me to say “WOW….” every time. Doesn’t matter if I just drove through that area two hours ago. I say WOW again. This year was the first time I witnessed the Evanston Roundhouse. WOW! That is one impressive structure! I met Patrick Zimmerer in person by surprise when we were having dinner at The Bunkhouse in Torrington — and of course he had lots of Table Mountain Vineyards wine on hand at his table! He’s a good guy — and The Bunkhouse is one of many great restaurants in Torrington! I have learned that Leslie Petersen has a terrific memory for people, places and conversations. She remembered a great deal about our interview the next time I saw her — what a classy lady! I have (slowly) begun to understand the one way streets in Casper and Cheyenne. Kind of. And most importantly perhaps… I have learned that no matter who you talk to in Wyoming, they know someone, somewhere, that you also know… Without fail. EVERYONE is connected. Everyone! Till next time, I’m going to keep gathering those memories and little lessons learned. 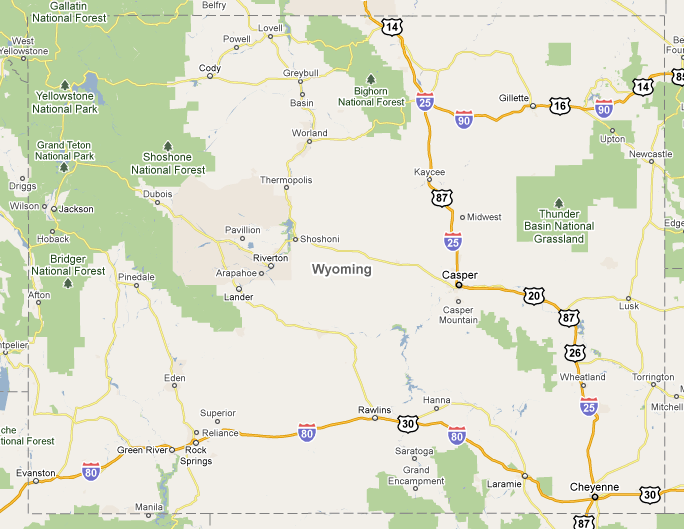 Last night, as I saw the lights of Laramie ahead, I realized that entire state of Wyoming is ‘home’ to us. And that’s a pretty good feeling.